A state prosecutor admitted before the Supreme Court today that the Immigration Police illegally detained the two international activists arrested yesterday in a pre-dawn raid on the International Solidarity Movement’s Ramallah offices. The two will be released on bail. 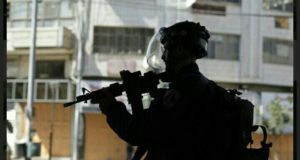 Earlier today, the Israeli Supreme Court ordered the release on bail of the two activists who were arrested on Sunday during a pre-dawn raid on the Ramallah media office of the International Solidarity Movement. During the hearing, the State Prosecutor admitted that it was illegal for the Immigration Police to receive custody of the two in the Occupied Territories, where it has no legal authority. While the illegality of the detention of the two, Ariadna Jove Marti, a Spanish journalist, and Bridgette Chappell, an Australian student in the Beir Zeit university, by the Immigration Police is now undisputed, the overall legality of the raid remains contested. According to Marti and Chappell, they have been questioned primarily about their overstayed visas. The Army, however, alleges that their arrests were security driven, despite the fact that the State Prosecutor could provide no evidence to support this notion. The Oslo Accords between Israel and the Palestinian Authority clearly forbid any Israeli incursion into Area A for reasons not directly and urgently related to security, even in “hot pursuit”. A raid on Area A on the ground of expired visas is therefore in direct violation of the accords. 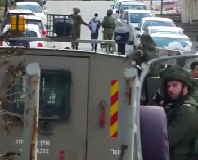 The court had ordered the release of the two on a NIS 3,000 bail each, and on the condition that they will not enter the Occupied Territories pending final decision in the case. The judges had also ordered the state to file depositions, if any exist, implicating the two as security threats for a review of the legality of their detention. 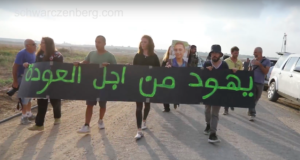 Israeli attempts to deport foreigners involved with Palestinian solidarity work are part of a recent campaign to end Palestinian grassroots demonstrations, which involves mass arrests of Palestinian protesters and organizers. Over the last ten months, the “Oz” immigration unit illegally arrested and attempted to deport four other international activists. Eva Nováková, a Czech national and former ISM media coordinator, was arrested in Ramallah on January 11th, 2010, and deported the next day, before the deportation could be appealed. She too was arrested by the Immigration Police. Nováková’s lawyer is currently in the process of preparing an appeal to the Israeli Supreme Court to challenge the legality of her arrest. Additionally, American solidarity activist, Ryan Olander, was twice arrested illegally by the “Oz” Immigration unit, but his deportation was prevented after a judge ruled his detention illegal. Similar appeals to the court have also annulled the deportations of other American and British activists in recent months.